Michigan’s firearm deer season opens Thursday, and though some hunters may find fewer deer in local areas that were hit hard by EHD, the midge-borne disease that killed so many deer this fall, it should still be a good season overall for hunters. Some might even take nice trophies if they know where to look. State wildlife officials are predicting a modest increase in the deer harvest in the northern two-thirds of the state. Three mild winters in a row have been good for whitetail reproduction and survival. Deer numbers are slowly increasing there. EHD deaths were concentrated in Ionia, Montcalm, Clinton, Branch and Calhoun counties, according to state wildlife officials, but the disease showed up in 30 counties. “Some folks are going to see less deer,” said Brent Rudolph, the deer program specialist with the Michigan Department of Natural Resources. Hunters killed 214,070 deer during the 2011 firearm deer season — down from 2010, when they killed 220,303 deer, according to state records. Fewer hunters were out, too. Only 578,855 took up firearms, compared to 593,074 in 2010. In spite of that, Michigan remains a good deer hunting state, not only producing good numbers of deer but a fair number of trophy deer. Earlier this year, the Boone and Crockett Club, the record bookkeeper for North American big game firearm kills, announced a 400 percent jump in listed trophy whitetails in the past three decades. 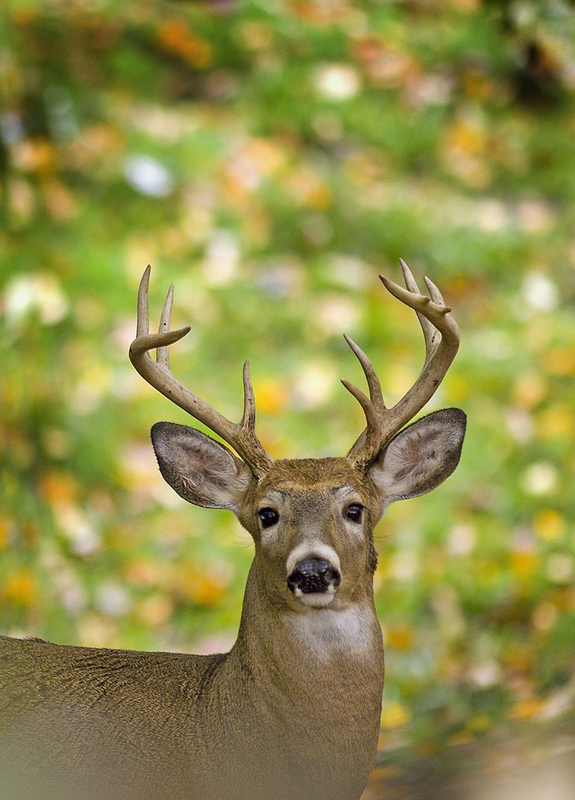 Between 1980 and 1985, there were 617 trophy whitetails listed. From 2005 to 2010, that jumped to 3,090 trophies. and 2011, Michigan produced 39 Boone and Crockett trophy whitetail entries; 16 of those were non-typical, while 23 were typical. Typical, for those unfamiliar with scoring, means deer with a symmetrical set of antlers. Non-typical means non-symmetrical. Antlers are scored by measuring antlers and adding up the measurements. Wisconsin topped the B & C list, with 380 trophy entries from 2006 to 2011. Illinois was second, with 289 and Ohio was third, with 242. Oregon was last, with just one entry. “Trophy deer are rare,” said Rudolph when asked why Michigan now is 16th when in 2001 it was listed as one of the top 10 trophy deer states of all times. Michigan was 10th on that B & C list. Rudolph offered several explanations: There are more deer and more hunters going after them, in turn producing more trophies. But there are other reasons, too. Age, nutrition, hunter attitudes and regulations also play a part, he said. 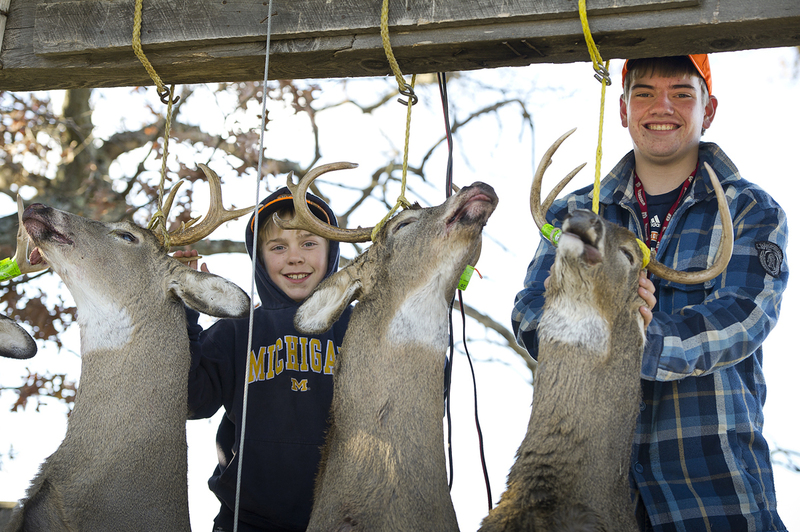 Michigan deer hunters, for instance, are motivated by meat, sport, tradition, inspiration and trophy status. Meanwhile, “hunters in Ohio have more of a trophy mentality and make the effort to get it scored and entered,” Rudolph said. Rudolph has noticed a gradual shift in attitudes here. Ohio, Illinois and Iowa are the ultimate feed lots for deer, Rudolph said. They have the most productive farmland in the country and produce bigger deer. That said, however, it isn’t as if Michigan has only dwarf deer. Nice trophies are added to the Commemorative Bucks of Michigan record book every year. But Rudolph said those who want them need to go out and look for them. Boone & Crockett’s records show Washtenaw, Jackson and VanBuren counties as the top trophy counties in Michigan. They produced 18, 16 and 12 North American trophies respectively from 1904 to 2012. All those, of course, are southern Michigan locales where private lands abound and access becomes an issue. Hunters also have another option: the wild wooly places that are tougher to get to. “They can “head into the backwoods off the beaten path and look for large chunks of less accessible land in the northern part of the state,” Rudolph said. With the firearm season opener just four days away, no doubt they need to get cracking. This entry was posted in Uncategorized and tagged Boone & Crockett Club, Deer Hunting, Epizootic Hemorrhagic Disease, Hunting, Trophy Hunting, Whitetail Deer. Bookmark the permalink.